How far have you traveled in Minecraft? How much have you discovered it? How deep is your knowledge? Answering all of the questions in Minecraft Quiz helps to test the depth of your knowledge of Minecraft. There is a checking point after 5 questions. 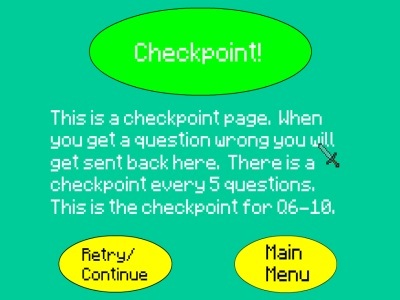 You will turn back to the latest checking point if you give an inaccurate answer. 4 options are offered for every question. The content of questions is about the characteristics of stuffs in Minecraft such as how to create a crafting table or which sources a pickaxe can mine best. Play and report your amazing results! You click into the correct option on order to complete the quiz.